Xhorse VVDI2 or BMW multi tool, which better read CAS2 by OBD? To answer this question, yes both Xhorse VVDI2 and BMW multi tool are tested ok to read CAS2 by OBD2. While a little part of users feedback they use Xhorse VVDI2 to read CAS2 via OBD2 but failed. Let’s firstly read one user’s feedback “Vvdi2 constantly causes me problems on cars with Cas2. Every time I attempt to add a key via obd I get disable security error and the dme-cas fall out of sync. I then have spend 20 mins messing around with fvdi to re synchronise it.After all that, I still need to remove the cas and use the adapter to make a key. I do not even bother trying via obd anymore. Multitool never gave me these problems. This is the error I’m referring to. 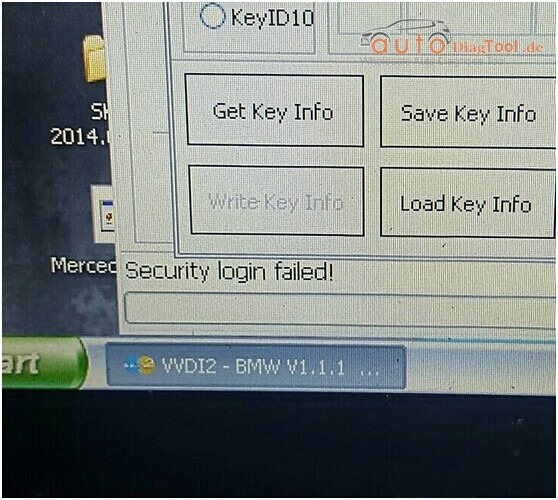 Read from the error photo, you used V1.1.1, currently BMW latest version is V1.1.7, please download the latest version, it already fix the bugs. This entry was posted on August 16, 2016, in Auto-diagnose tool and tagged BMW Multi Tool, Xhorse VVDI2. Bookmark the permalink. ← How to fix Volvo Vida Dice 2014D “No communication tool”?